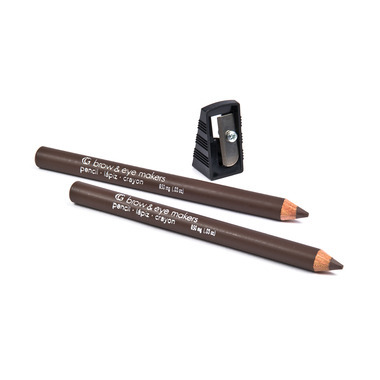 Create beautiful brows and get the eyeliner looks you want with these twin pencils. Both have soft colour and are incredibly versatile. Use them to naturally enhance and fill out brows, or sweep them along your lash line for a soft-liner look. These little pencils do a lot of beautiful work! Perfect - perfect color - perfect consistency to go on smoothly - comfortable to hold and easy to guide. Very natural looking results.